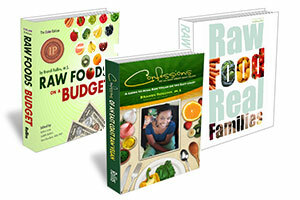 Hi Brandi, I love raw foods but have never been able to find a ” simple” weekly menu plan. Do you have one that I can trial before Boot Camp starts. Bye the way I love your book, well done! As much as you are charging for your program, why can you not make it available for everyone? I see one person asked about people that have Diabetes and Diverticulitis, it would be easy to make substitution lists and recipes to fit all health issues. I have seen other juicing and raw food boot camps, even participated in them, which are free and do accommodate all health situations, so if charging I would think you would offer more. I know it’s probably not that hard…BUT…I’m having a hell of a time finding the login place on the website to log in to get the downloads, etc. for the bootcamp. Terri, there is no page to log into (this is an old function). All of the downloads can be accessed using the private link sent to you after your purchase. This should be in your email. Hello! Fortunately, there are a lot of raw programs out there, which makes it easier for individuals to find a program that meets their needs. I believe that Dr. Gabriel Cousens has a program for individuals with diabetes. 🙂 Good luck in your search.